ParkCloud is very pleased to offer parking at Genoa Airport’s Central Car Park with immediate effect. ParkCloud is working with the airport’s parking management company, Quick No Problem Parking, to offer the spaces, following previous collaborations at Palermo airport and in city centres across Italy. The P1 car park has 1,000 spaces and is open 24 hours a day. A fantastic secure and safe place for travellers to leave their car, it also has a 24/7 surveillance system. Quick No Problem Parking Spa, founded in 2000, provides management services across 20,000 parking spaces throughout Italy, and has established itself as one of the leading companies in the market. 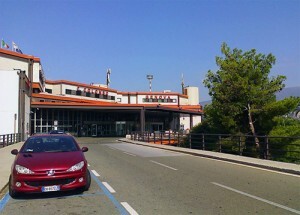 The car parks managed by Quick are located in a variety of venues including airports, ports, shopping malls and city centres, alongside the official car park of Genoa Airport. The Aeroporto di Genova, also named for Christopher Columbus, saw passenger numbers increase by 7.5% to the end of 2015, and is the most important airport of Liguria. A wide range of airlines operate from the terminal, including existing ParkCloud partner airlines Ryanair and Vueling, as well as KLM and British Airways.